ChemBridge Corporation @ ChemBuyersGuide.com, Inc.
ChemBridge Corporation is a global provider of enabling chemistry products and contract research services for small molecule drug discovery. 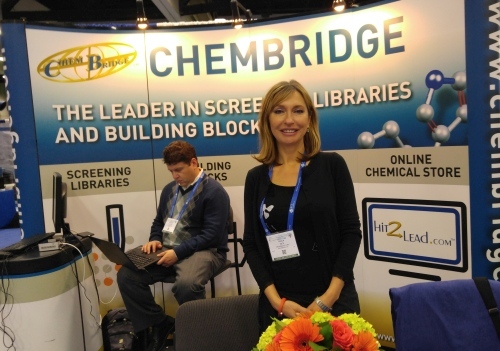 ChemBridge�s extensive portfolio includes over 1,000,000 diverse and target-focused screening compounds, 14,000 chemical building blocks, our Hit2Lead.com on-line chemical store, and high-end, research-intensive custom library and synthetic/medicinal chemistry services. ChemBridge�s research products and services are supported by an experienced, dedicated and friendly customer service and project management team at our San Diego headquarters and by ChemBridge's impeccable, 25-year track record of innovation, quality and deliverability.